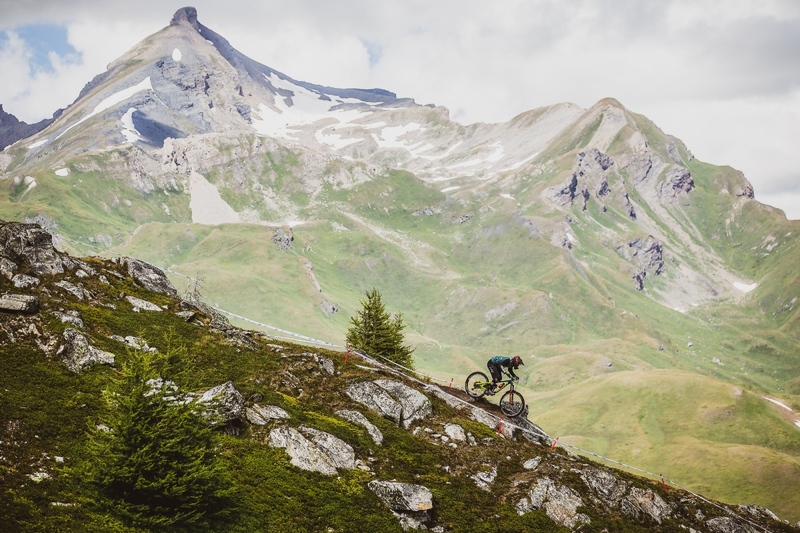 The Devinci Spartan 29 is made for trails such as this. 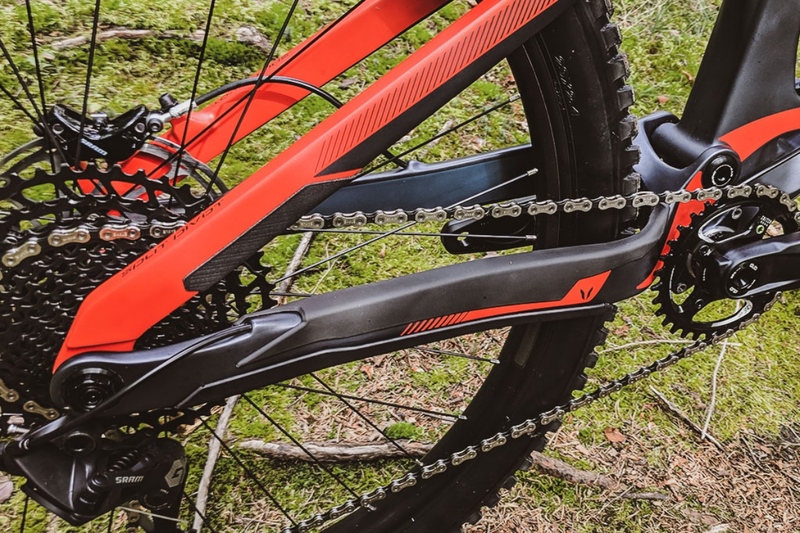 Canadian bike maker Devinci has unveiled a 29er version of its sleek long-travel trail masher, the Spartan. 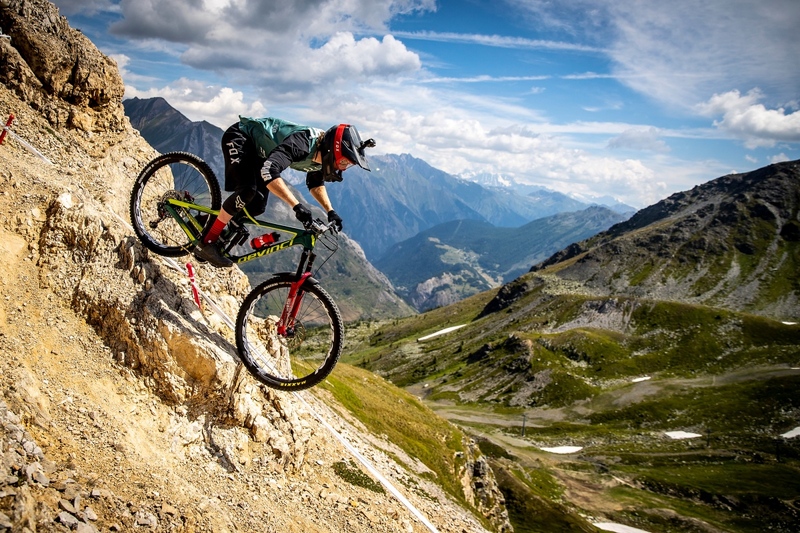 Featuring radical angles in an aggressive configuration, the Devinci Spartan 29 is meant to go fast and hard over everything a trail can throw at it. Features include low standover that plays nice with long travel dropper posts. 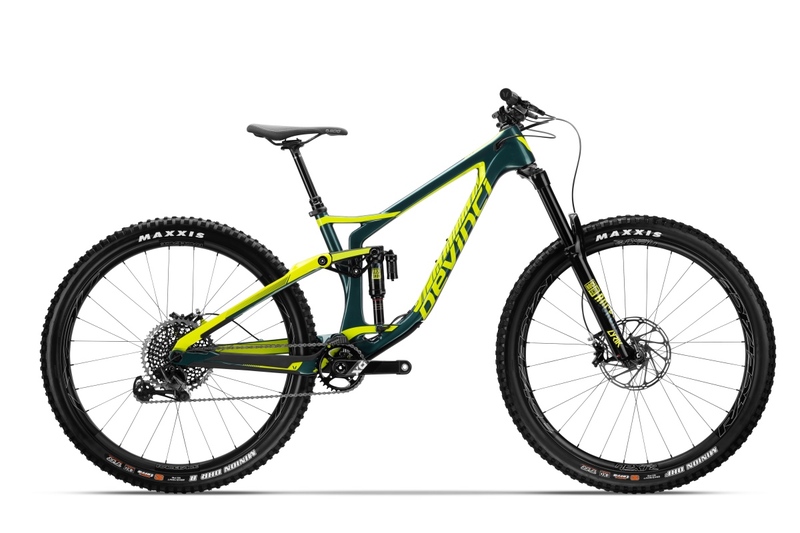 With 170mm travel up front and 165mm in rear, a slack 65-degree head angle, steep 76-degree seat angle, and 465mm of reach with a wheelbase of 1,232mm in size large and low setting, the Devinci Spartan 29 continues to push toward numbers once reserved for downhill. 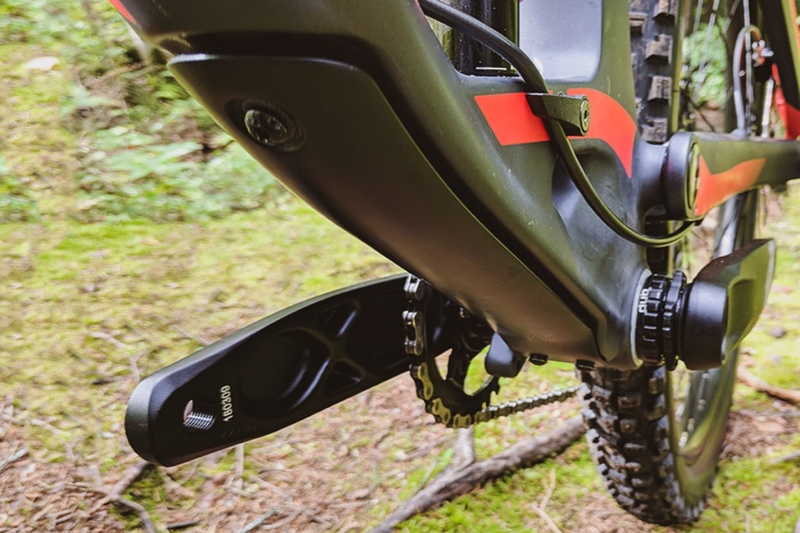 Riders wondering exactly how far the limits of trail-bike geometry can extend will want to add the Spartan 29 to their demo list. 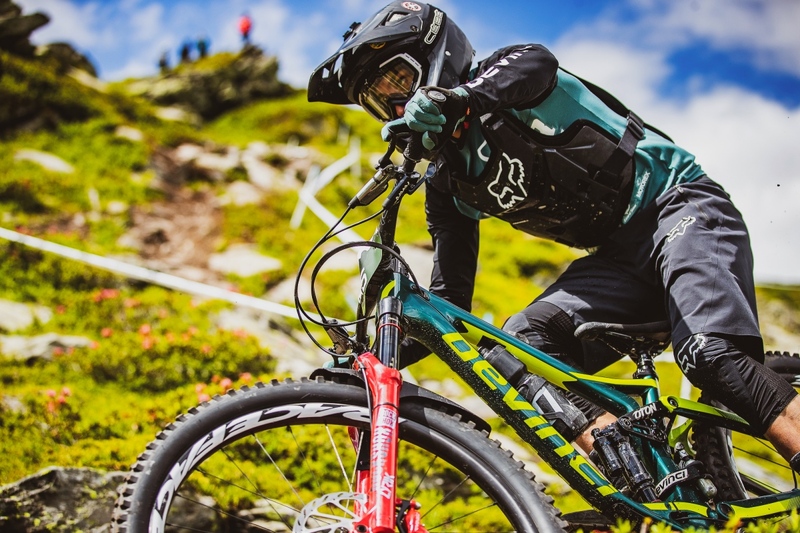 The bike has already been raced on the EWS circuit by Damien Oton. 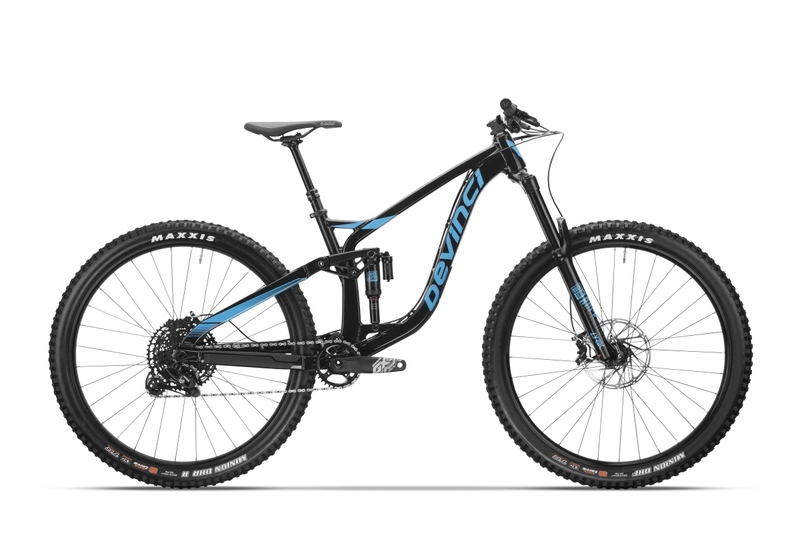 The Devinci Spartan 29 comes in carbon and aluminum framesets, the latter an affordable $2169 compared to $3369 for carbon. The price differential is made possible by Devinci doing its own aluminum manufacturing in Chicoutimi, Quebec. Note that frameset pricing includes dropper post as well as shock, headset and seat clamp. 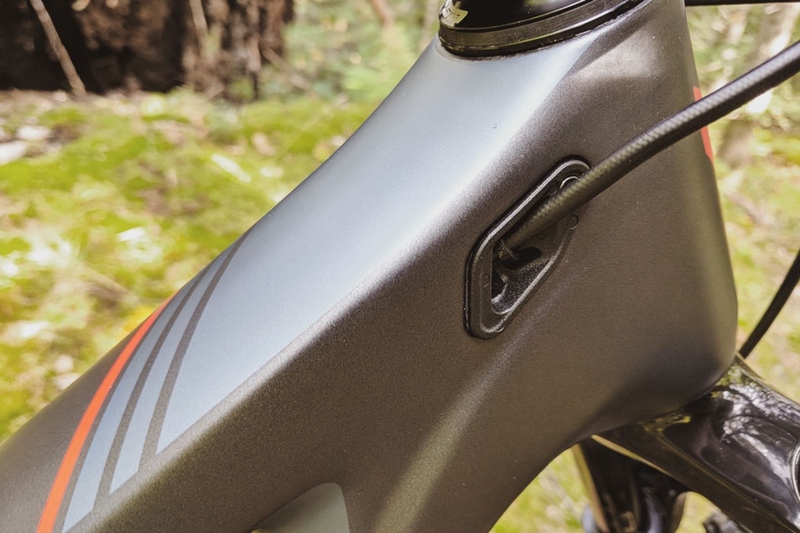 Devinci includes dropper posts to ensure the right sizing (up to 170mm) for each frame. This built-in bash plate is a nice touch. Other noteworthy features include still-controversial superboost rear spacing — a spec Devinci says was needed to get chainstay clearance for wider tires and larger chainrings — metric shock with trunnion mounting to allow for coil upgrades, a chainring clearance of 38 teeth, tire width to 2.5 inches, 180mm post mounts, low standover, threaded BB and adjustable hi-low geometry. 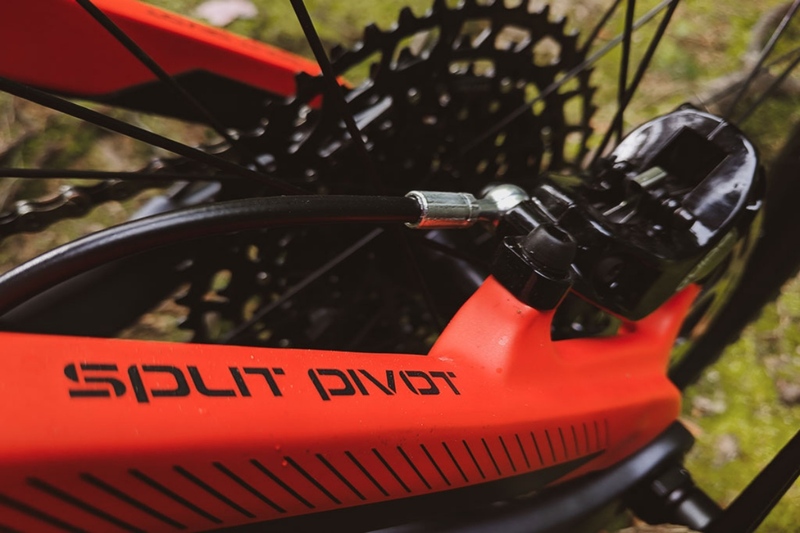 As with other models, the Devinci Spartan 29 sports Dave Weagle’s split pivot suspension design. 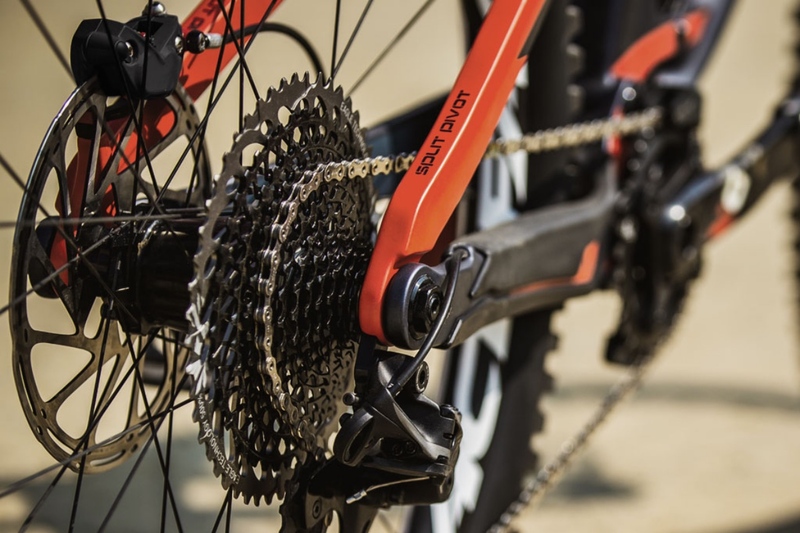 Even with super boost, Devinci bikes fit regular cranks with zero offset, as well as SB+ cranks with 9mm offset. Now you can get your boost in super boost. 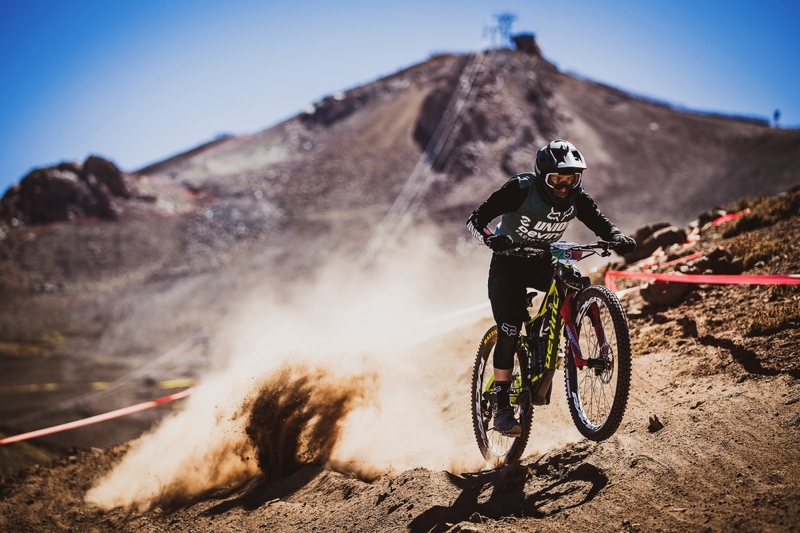 Builds are available in SRAM only, starting at $4539 in carbon and $3339 in aluminum (for NX Eagle), and topping out at $8999 for carbon with X01 Eagle and $3999 in aluminum with GX Eagle. 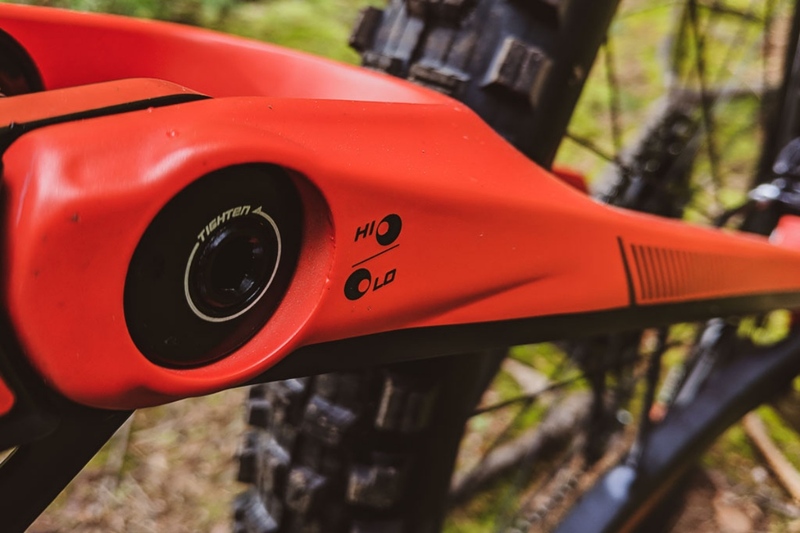 Even with the price differential, Devinci expects the sell ratio to be 30% aluminum, 70% carbon. Pricing does not yet reflect potential tariff premiums. Hi or Lo, it’s up to you. 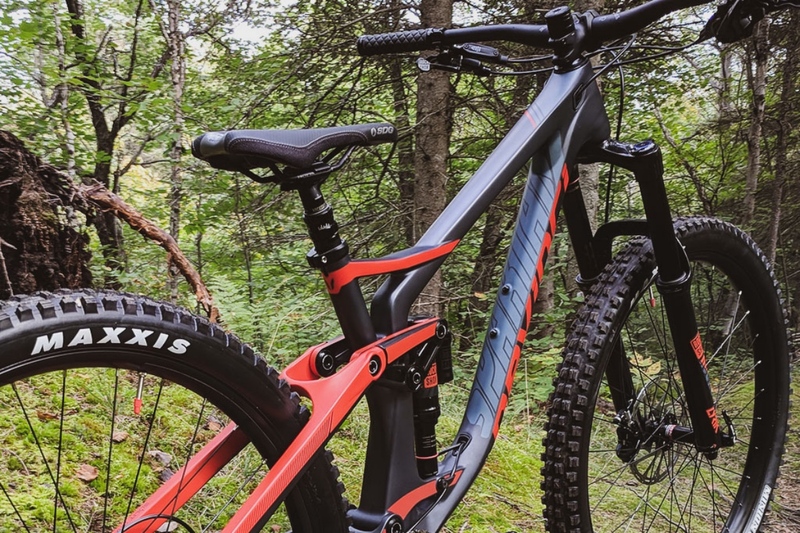 The Devinci Spartan previously has been available only in 27.5, but Devinci followers have been expecting a 29er version since spotting Enduro World Series pro Keegan Wright riding a prototype at Whistler Crankworx last month. Oh, the places you can go. The Spartan 29 looks like a winner on aggressive trails here in the Northwest (where our author is based), where Devinci is a popular brand. It seems just a short time ago that the breakthrough Evil Wreckoning’s longer-slacker 29er numbers were drawing eye rolls as over the top. 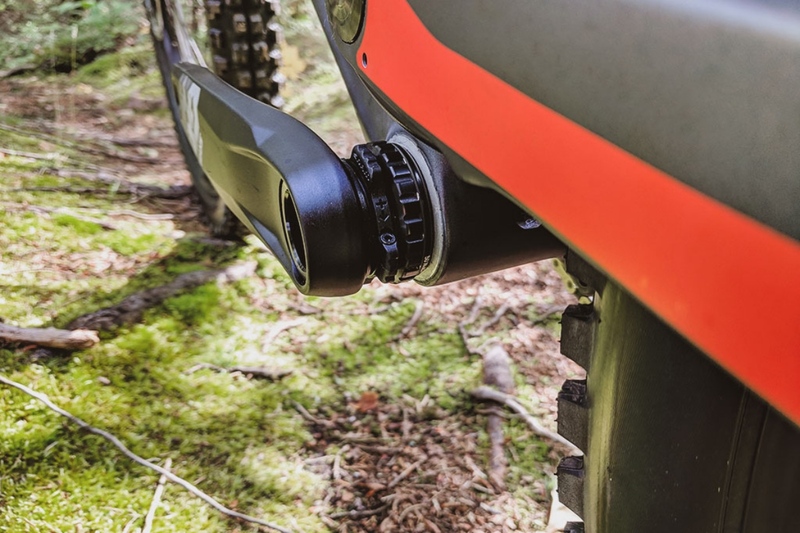 Instead bikes such as the Wreckoning have spawned a whole new category of rough and ready speed demons as enduro races caught on and challenging new black diamond trails got built with riders wanting to test their capabilities. Devinci Spartan 29 geo chart. Click image to enlarge. To learn more, head to www.devinci.com. Suspension is Dave Weagle split pivot. 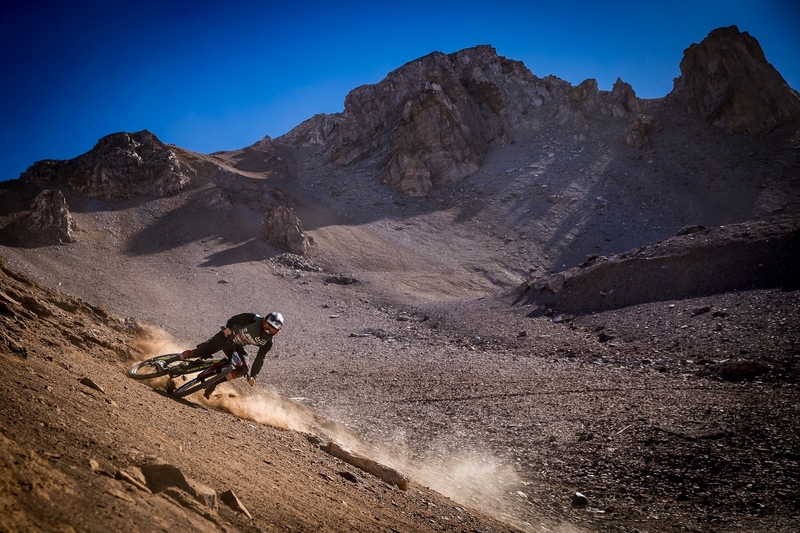 The Devinci Spartan 29 is built for speed. 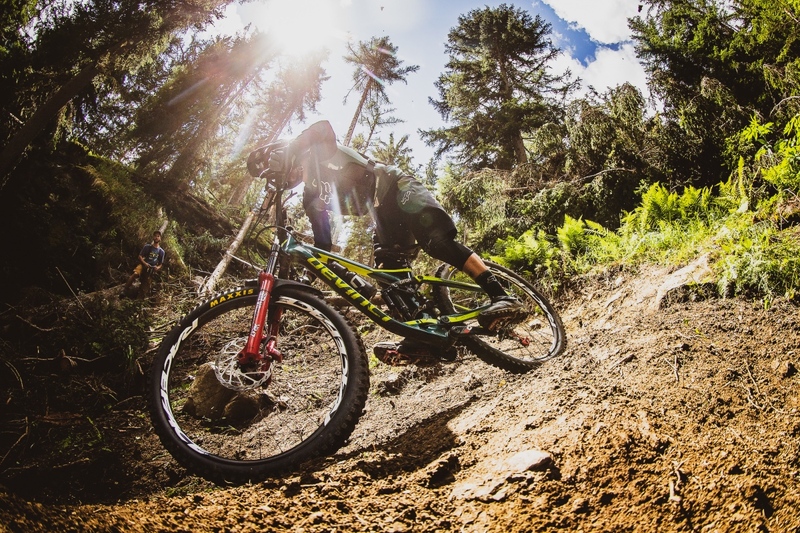 Damien Oton charging hard on the new Devinci Spartan 29. Clean and tidy internal cable routing. Always fun to kick up a little dust. More frame protection on the Devinci Spartan 29. Yes, it has a threaded bottom bracket. Devinci Spartan 29 black/blue aluminum SRAM GX build. Devinci Spartan 29 green carbon SRAM XO1 build. Devinci Spartan 29 tech red carbon SRAM XO1 build. Devinci Spartan 29 geo chart.